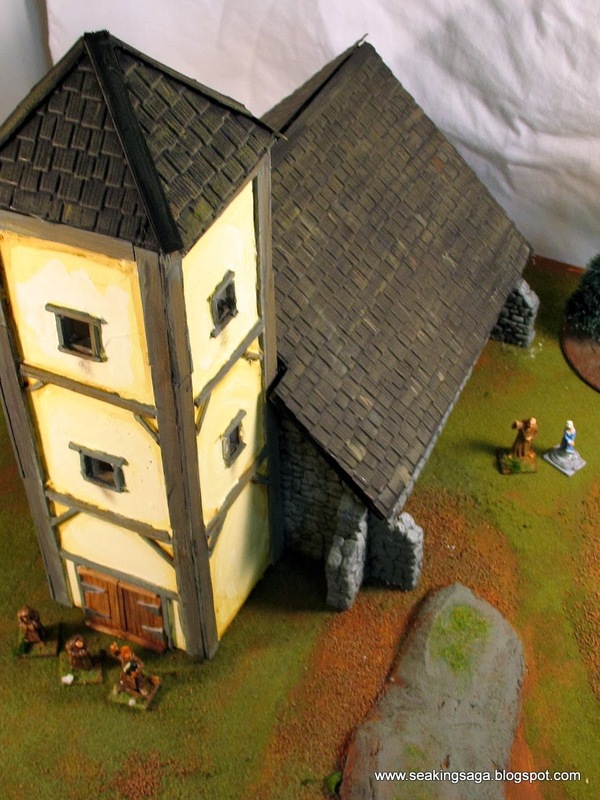 The church was central to village life in the Dark Ages and so it is an almost mandatory element of a town game board. 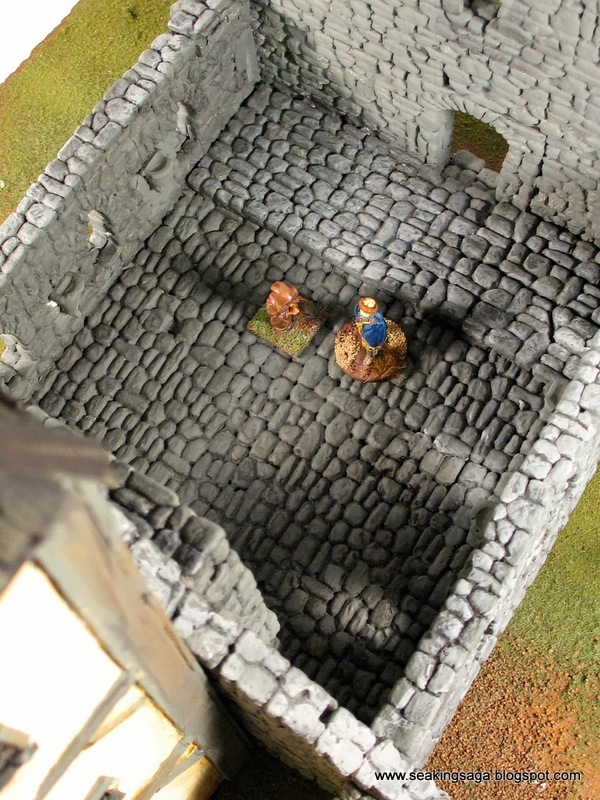 I have already built a small stone chapel, and I was interested in a larger piece that could hold about two dozen figures, possibly large enough to have a portion of the combat inside the church. 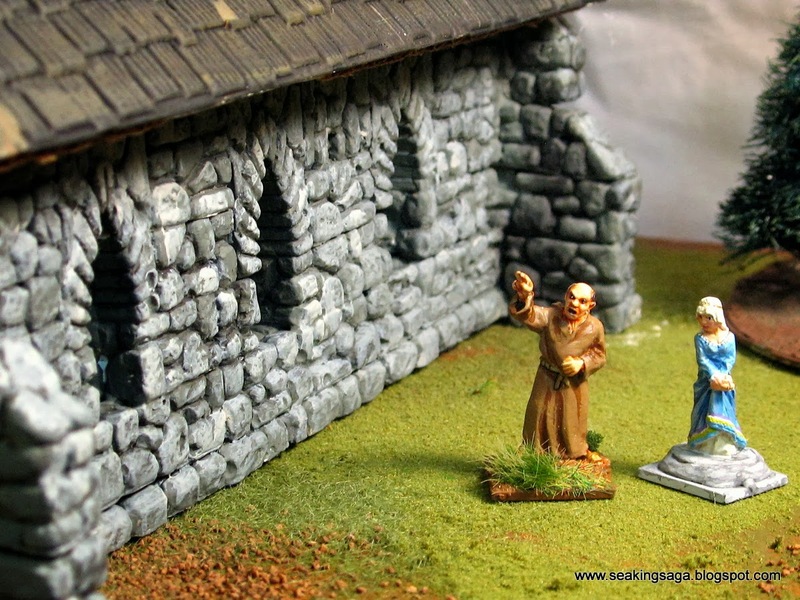 Small early medieval churches that are still extant are rare, and rarer still are those that have been unaltered in subsequent centuries. Nonetheless, a general purpose church for western Europe is not hard to put together. 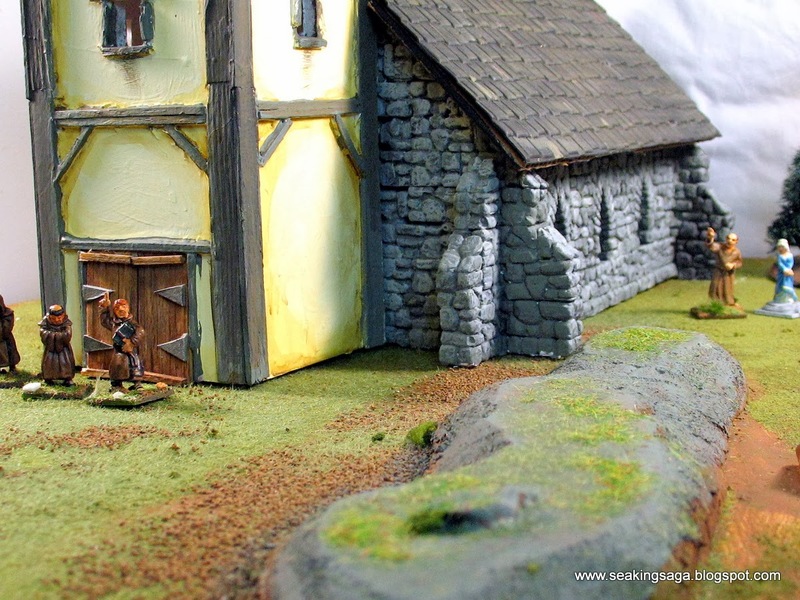 The basic elements are a rough stone walls, and a small tower of stone or timber frame. For this church, the stones are cast from Hirst Arts, mostly molds #70 and 71. 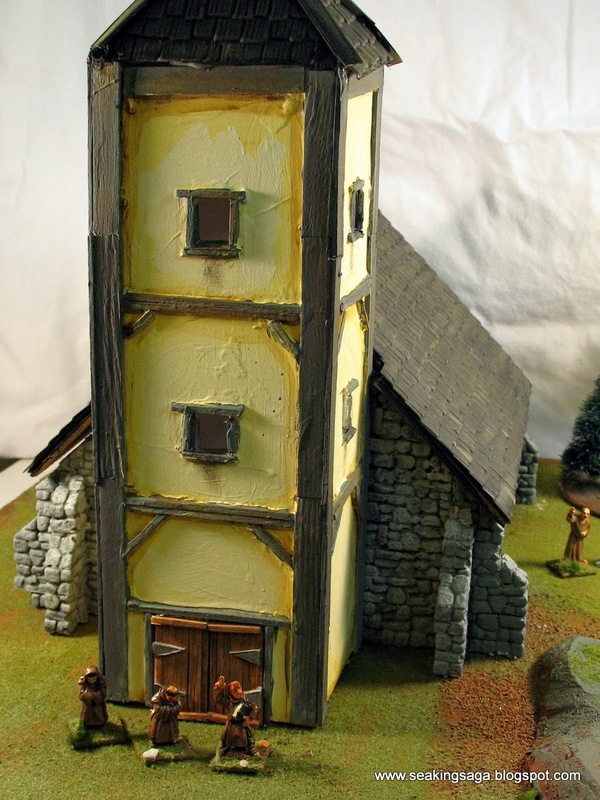 The tower is made of foam core and craft wood, and the removeable shingled roof is from premade plastic sheets used by model railroaders. For the interior, I am looking at purchasing an altar/pulpit and benches from some fantasy makers. Temporarily, I might go with some papercraft furniture. Looks good. We need to fight over it.